California will have a new governor come November, and while the race is still open, it’s looking like it’ll be a heated contest between Democrat Jerry Brown and Republican Meg Whitman. How important will a green platform be to securing the gubernatorial race — particularly in the face of looming budget and economic crises — and how will the candidates shape up against Arnold Schwarzenegger when it comes to his high profile backing of the state’s green policies and green technology industries? Brown can run on a track record of supporting clean energy and environmental regulations, including his work as Attorney General to bring the state’s stringent clean air standards to a national stage and his co-sponsorship of a bill that would require the state’s big utilities to install energy storage systems to help manage intermittent renewable energy like solar and wind power. Whitman, on the other hand, offers a host of business-friendly policy proposals that might resonate with those that say overly burdensome regulations are holding back the state’s economy and job growth. But when it comes to green policies, the starkest difference between the two candidates revolves around their positions on California’s landmark greenhouse gas reduction law, AB 32. The 2006 Global Warming Solutions Act calls for a 30 percent reduction of greenhouse gas emissions by 2020 and 80 percent below 1990 levels by 2050, and the state is developing a plan for how to get there that will likely include a cap-and-trade program for carbon emissions. Jerry Brown advisor Julia Levin told a Stanford University panel in February that Brown has always supported, and will continue to support, AB 32. Whitman, on the other hand, has called for a one-year moratorium on certain parts of AB 32, saying that’s needed to give the state’s businesses and economy a chance to recover from the ongoing recession. Silicon Valley, the heart of the state’s burgeoning cleantech industry, would appear to be in the pro-AB 32 camp. Companies including Google (s GOOG), Apple (s APPL), Hewlett-Packard, Cisco (s CSCO), Intel (s INTC), Applied Materials (a AMAT) and eBay (s EBAY) support the law, and the state’s green entrepreneurs and investors worry that rolling it back could stifle one of the few bright spots in the state’s economy. The problem, as he sees it, is that green technologies need government policy support to get off the ground and start paying for themselves — just as the fossil fuel industry now receives a host of subsidies and tax breaks. But while those fossil fuel incentives go unquestioned, rolling back support for green energy and carbon emission reductions “would cause the industry to be painted with the common brush stroke of ‘purely uneconomic and totally dependent on government regulation’,” he wrote. However, much will depend on just which specific parts of AB-32 Whitman will seek to postpone. Josh Green, general partner at Mohr Davidow Ventures, said he’s awaiting specifics from both Whitman and Brown’s campaigns on how they’ll boost green innovation in the state. But he notes that Whitman’s early stance that AB 32 is “job threatening, rather than job-creating,” is a worrisome start for him. AB-32 Job Positive of Negative? Gov. Schwarzenegger has been very much in the camp that AB 32 is about job creation, Green said. The California Air Resources Board has found that AB 32 is expected to create a small number of jobs rather than lead to job losses. A study CARB performed last year predicted that the law could create 120,000 new jobs, but the state’s Legislative Analyst’s Office said in March that those predictions couldn’t be backed up by the study’s methodology. It’s those kinds of predictions that have given fuel to the California Jobs Initiative, a ballot initiative effort largely backed by oil and gas companies that would completely block implementation of AB 32 until the state’s unemployment rate drops below 5.5 percent for four consecutive quarters, from today’s 12.5 percent figure. AB32 opponents point to a study that claims the legislation would increase energy costs, cost state businesses some $186 billion in revenue and lead to the loss of 1.1 million jobs — the same study that Whitman’s campaign has cited to support the idea that AB 32 may have to be delayed. The law’s supporters have strongly criticized analysis such as these, saying that the state has shown that job growth and economic expansion are boosted, not harmed, by innovation in energy efficiency and environmental regulations. 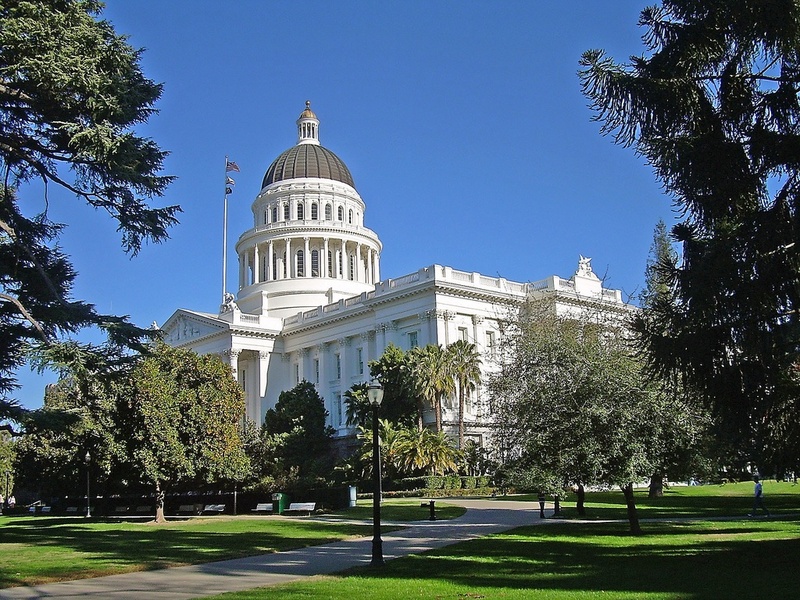 It will be important for California’s next governor to do what he or she can to improve the state’s business climate, said Mike Dauber, senior associate at Battery Ventures. Streamlining permitting processes and lowering costs of doing green business in the state are among the challenges he’d like to see tackled. As for so-called “green jobs,” the U.C. Berkeley report found that they now make up less than 1 percent of California’s workforce, though this number could expand as AB 32 is implemented. Some 36 percent of the state’s green businesses are in professional, scientific and technical services, while 19 percent are in construction and 15 percent are in manufacturing, the report found. Of course, no discussion of the future governor’s clout could pass without a nod toward the state’s financial crisis. With a $20 billion budget shortfall to cover, a notoriously dysfunctional partisan legislature and a ballot initiative system that regularly passes expensive programs into law without any way to pay for them, whoever is elected governor may not have that much power to alter the short-term fiscal and economic picture, Dauber pointed out. Given the problems in Sacramento, Green said the best early hope for the state may be a governor that can drive consensus in the legislature. Whether Whitman or Brown can achieve that remains an open question, however. The most Green governor candidate — Green Party’s Laura Wells. Wells also supports the use of clean, sustainable, local energy, including publicly-owned utilities, Community Choice Aggregation (CCA) and localized (distributed) electricity generation, instead of nuclear power or carbon sequestration. The most affordable and job-creating road toward energy savings is conservation through weatherization of our buildings and deployment of energy efficient technologies such as LED lighting and tank-less water heaters. Renewable energy technologies such as solar photovoltaic and wind power generation are here now and are rapidly expanding. Geothermal, marine-based renewable energy and other emerging renewable technologies are proven and hold great promise. We already have enough of the first-phase solutions to start immediately. As Governor, Laura Wells would implement them. Nuclear fission power is not an answer. Our candidates talk about jobs. Did you know the green jobs are the fastest growing in California. Lets keep this trend by stopping Valero oil company from repealing California’s Global Warming Solutions Act, AB 32.